A question about editorial control was put to me this week: should DDN be publishing articles that hadn’t been vetted by a panel of experts? What were my criteria for including articles and letters? Was I actually qualified to make a judgement on what went in the magazine without the backing of an academic or charitable body to take forward a set of agreed objectives or further academic progress? Was DDN’s claim to be an ‘independent publication’ (because we are not funded by any organisations) rendering us guilty of ‘disingenuous neutrality’ because we have to take enough advertising revenue to pay for the free circulation of each issue? It’s fair enough to ask what we’re trying to do with DDN, and I’ve been thinking this over a lot during the week, while working on the issue. My obvious answer is that we’re about communication, and from day one we’ve never tried to replicate or replace in-depth research or evidence-based material. We’re the ‘quick round-up’, the taster to a subject, and hopefully the signpost to sources where our readers can find out more – particularly if the subject matter isn’t directly on their ‘patch’. To take this issue… there’s insight from Sussex on tackling the growing segregation of a minority community. There’s progress from Bristol offered from experience with their service users on how to provide more effective advice on ketamine. 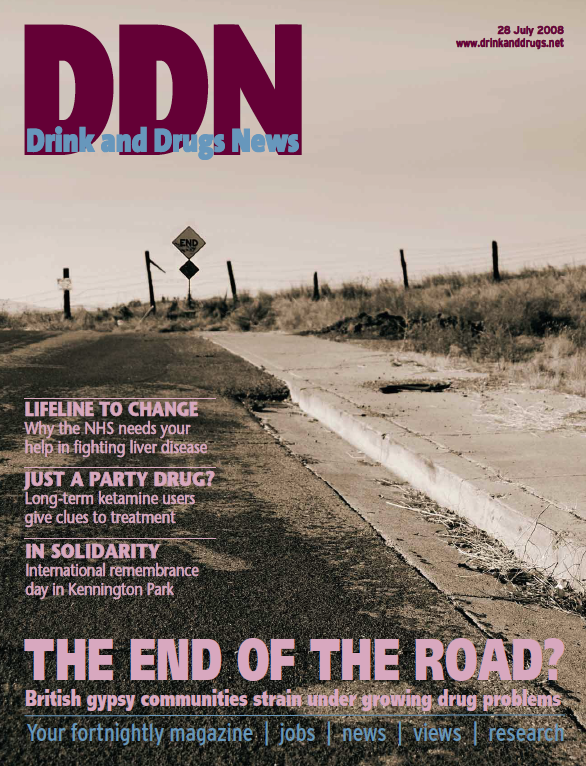 There’s an article on liver transplants by a clinician who asked me to highlight the desperate need for more involvement from the drug and alcohol field. And there’s our experience of sharing International Remembrance Day with drug users, families, supporters and drug workers in Kennington Park last week. 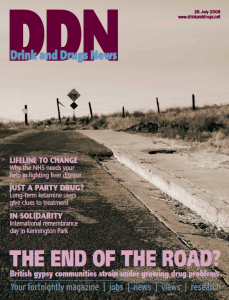 I’m not sure which of these pieces would have benefitted from expert review; they are what they are – a reflection of the diverse contributions to DDN, which at the end of the day is a melting pot of readers’ experiences. We’ve a publishing break during August, so I’m off for a lie down. Keep your letters coming… see you on 8 September!